I can provide baby seat for 10 eur p.day .I can provide a tent for 4 people 15 eur p. day. And if you need some information about Iceland i would be happy to help. The communication with the owner was without any mistake. The car (and I have to say it was like a member of our group after the trip) was strong and sure on all the roads, moreover, it provided space big enough for sleeping for two people. Overall, the rental was perfect! The car was perfect and powerfull. Owner is true icelandic hardy guy in T-shirt with a sense of humour (good job with cleaning the car Eiður). Communication was good. Some tips for starting the ride around were given. Air matress is little small. Self-Inflanting mat would be more appropriate.I can highly reccomend this car. I have just written needlessly 3000 signs long feedback describing many aspects of my rental, but CarRenter allows only 500... To sum up. Five stars for the owner, who is a very fair person, one star for CarRenters. It has been impossible to contact them via a contact form. I have tried several times having questions regarding "Terms and conditions". Non of them has been ever answered, which can be treated as disrespect for a client. It is sad, but seemingly..."that's the way it is in Iceland". Nice clean and powerful car .Just what we need for a family of four aroud Iceland. The owner is clear amd direct. 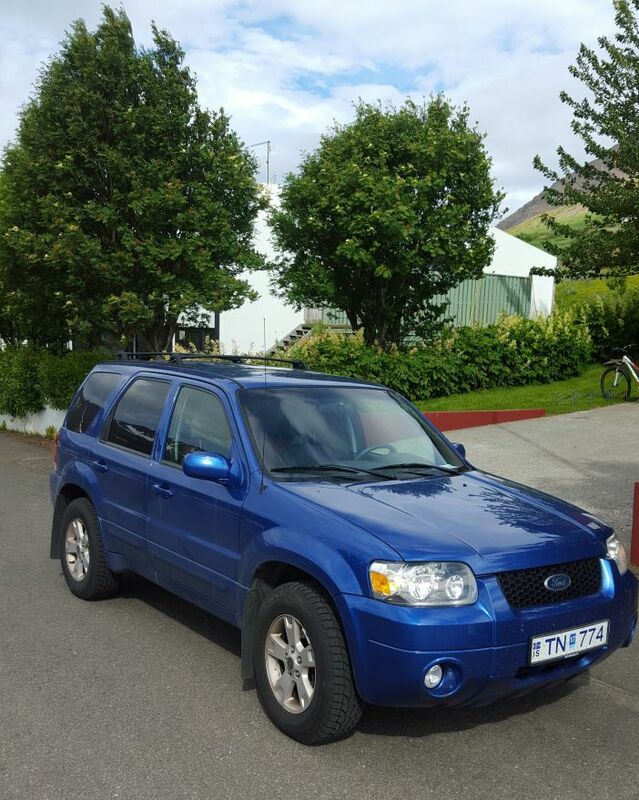 Perfect car for travelling aroud Iceland. Eiður is very helpful and friendly man. I highly recommend renting this car! Eidur was very available and helpful, the car was confortable and clean. I recommend it!! The car was great and Eidur was very responsive and easy to work with! Highly recommended. The car was reliable and in a great condition. Got us all around Iceland without any problems. The only thing was the air mattress was a little too large for the car, but it wasn't a big deal.